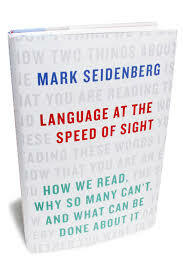 The LLRC's book club met Tuesday (3/27/2018) and focused on chapters five through eight in Mark Seidenberg's Language at the Speed of Sight. The group enjoyed pizza and lemonade while engaging in broad discussion about how reading science can inform instructional practice in terms of standards, pedagogy, and assessment. The ongoing debate regarding reading disability (RD) identification led to further discussion about the promises and pitfalls of prevention models for identifying and responding to cases of RD. 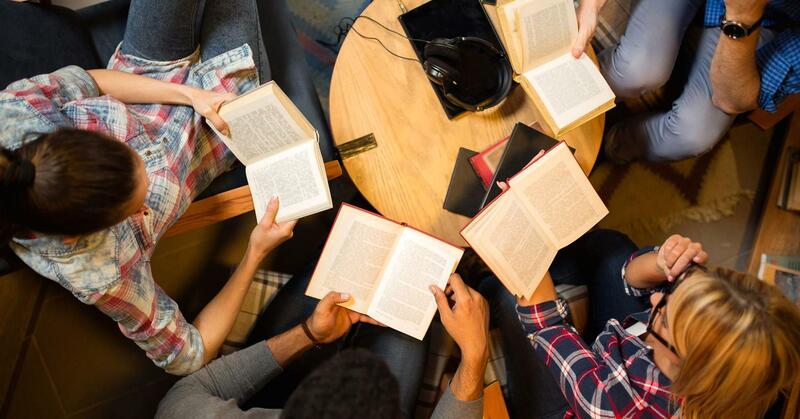 At the conclusion of the meeting, all book club members agreed that although reading science has taught us much, there remain considerable challenges to improving reading instruction in the United States. The LLRC's book club met over pizza and soda last Tuesday (2/27/2018) to discuss the first four chapters of Mark Seidenberg's Language at the Speed of Sight. We all found Seidenberg's writing humorous and engaging. The chapter on the history of writing systems (Chapter 3) was a crowd favorite. Many of us also enjoyed his clear discussion of the cognitive mechanisms that underlie skilled reading. We discussed at greatest length his assessment and reading performance and instruction in the United States. This discussion, in particular, benefited from the diverse experiences and perspectives of our group members. 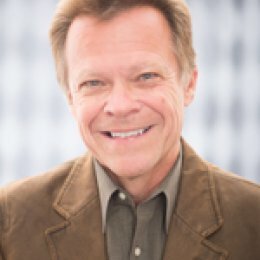 Dr. Peter Afflerbach, a faculty affilitate of the LLRC, serves on various literacy-related committees affiliated with the National Assessment of Educational Progress (NAEP), the International Literacy Association, the Common Core State Standards, and the National Academy of Sciences. He is the author of numerous books, including the recent Understanding and Using Reading Assessment, K-12, 3rd Edition. The community showcase is an annual highlight of Language Science Day, featuring ongoing work by language scientists all over campus. 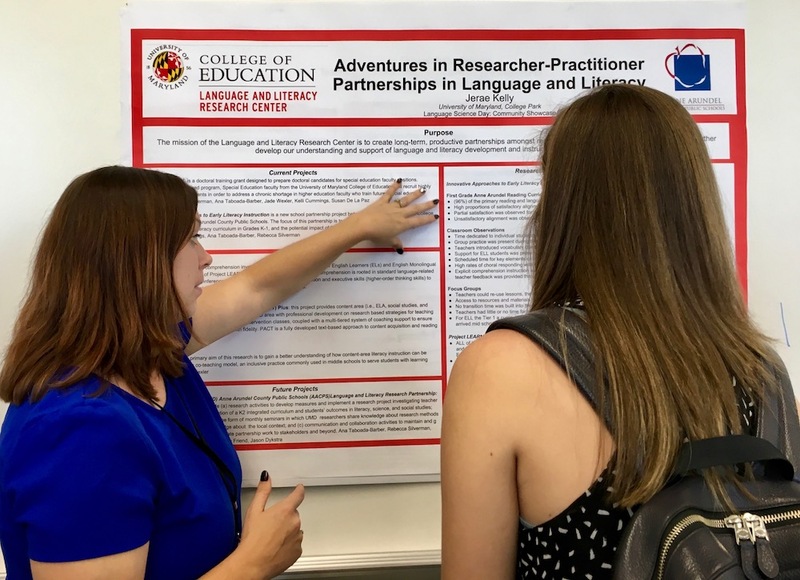 It's a great opportunity to learn about unfamiliar corners of language science research, make cross-disciplinary connections, and find out about opportunities for training, outreach, and advocacy. Jerae Kelly, a current ProPELL doctoral student, presented a poster outlining the LLRC's current and future projects. Jerae is pictured on the left presenting research findings from the 2016-2017 school year based on the first grade reading curriculum audit, classroom observations, and teacher focus groups held in participating schools within the Anne Arundel Country Public School district.